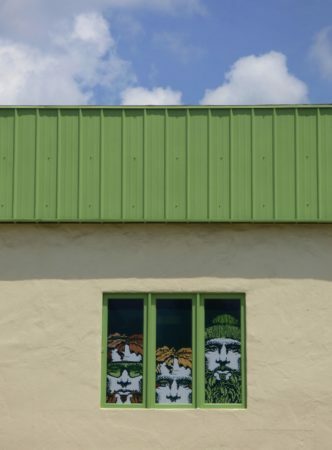 The Arts District is a colorful and creative section of the city to explore. We recently enjoyed an absolutely perfect weekend in Asheville, NC. 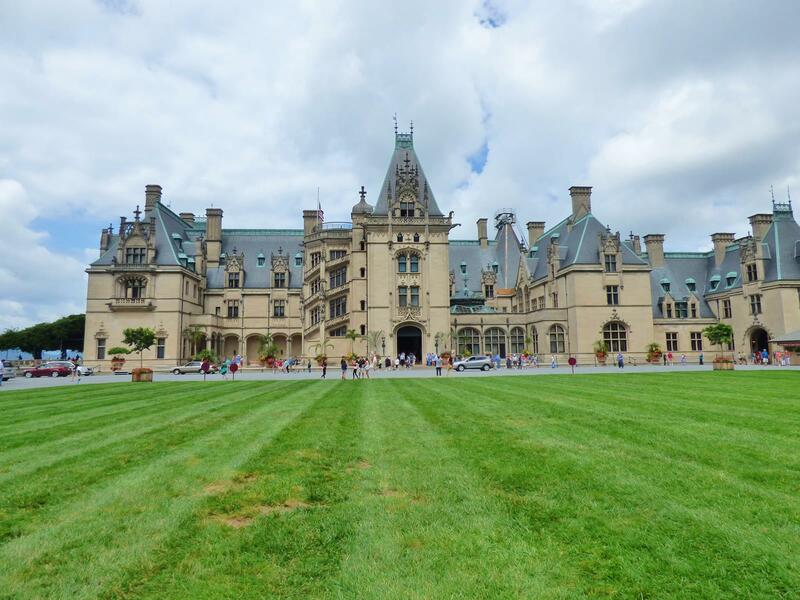 In the hopes of making the most of your next getaway, I thought I’d share my top 10 tips for a Perfect Weekend in Asheville, NC. Asheville is a city which I find very easy to love. It’s quirky character is immediately evident and quite charming. I always feel like why travel to somewhere that could be Anywhere,America. The same chains and developers have made a lot of travel that way. Not so Asheville. You will be hard pressed to find chain restaurants, bookstore, and coffee shops here. 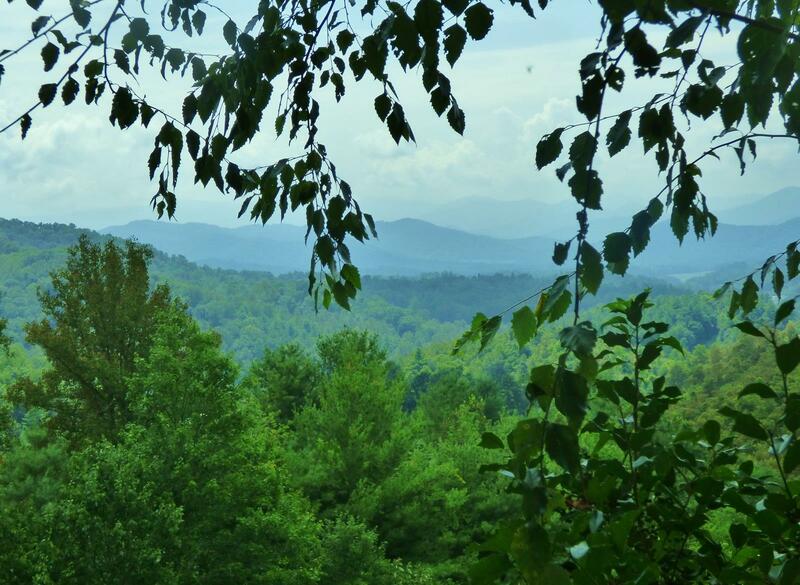 Plus the awesome natural beauty of Pisgah Forest and the Blue Ridge Mountains gives an instant sense of place. It is an environment I find consistently fresh and inspiring, regardless of season. I can both escape the heat of summer in my hometown of Charleston or find some fresh snow to play in come winter. And its food scene is fantastic in both variety and quality (especially for a town of this size!). Add in an vibrant art scene, amazing craft breweries, and perfect walkablity and you have a great destination for a perfect weekend getaway. 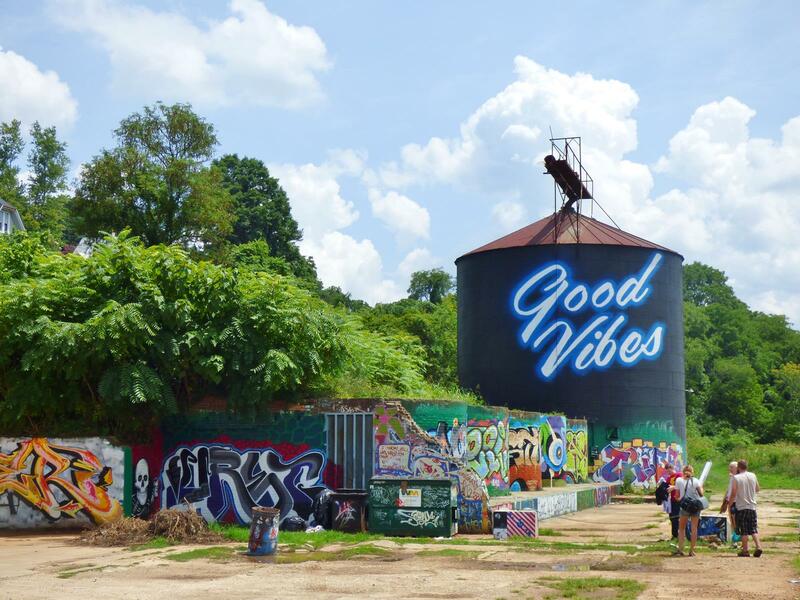 Funky and Fun- Asheville makes a perfect weekend getaway. Asheville manages to make strangers feel like locals quickly. Maybe because its so easy to navigate and walk. And then there is the geniune friendly natured locals. There is just a relaxed vibe here that seems to welcome everyone. This small town wins hearts quickly and many first time visitors will return soon to discover more. It is a town tucked into the majestic Blue Ridge Mountains, yet it remains current and is easy drive from cities such as Charleston SC, Nashville TN, and Washington DC. So here we go, how to get the most out of your next perfect weekend in Asheville! Tip #1 If you have a dog, bring it! We are a small family traveling with our dog, Mocha. Asheville, NC is truly the most dog friendly town I have ever come across. Everywhere you go. Just ask if your dog is welcome, from art galleries to patio dining, usually the enthusiastic answer is yes. We choose to stay at the Aloft Hotel. They have a no size restriction on dogs and no extra charge. They offer plenty of great amenities for a young family to relax and hang out, both indoors and out. The rooftop pool and outdoor lounge area includes a dog run area. Downstairs the living room vibe of the lobby offers games, computers, a rotating pet available for adoption, wonderful scenic outdoor patio with fireplace, and great live music most nights. A Starbucks cafe and a full bar serving delicious small plates makes hanging out here truly a relaxing oasis. 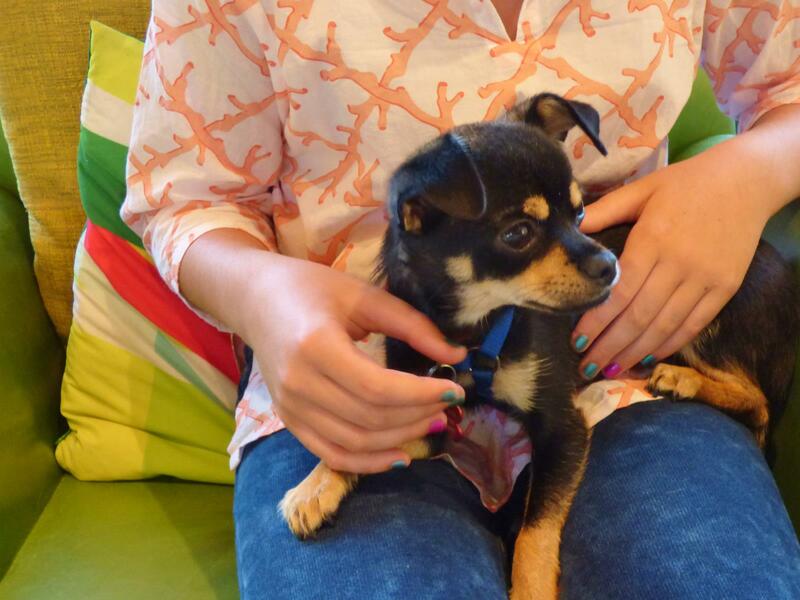 This is Joey, who was up for adoption in the Aloft lobby during our stay. Love their adopt a pet program! The rooms are rather small yet efficient. They have great televisions and comfortable beds. And for traveling families, full cable which includes the Disney Channel. Sometimes that can make a real difference in family friendly vacation viewing. Relaxing on roof deck which features pool, dog run, fire pits, and views. 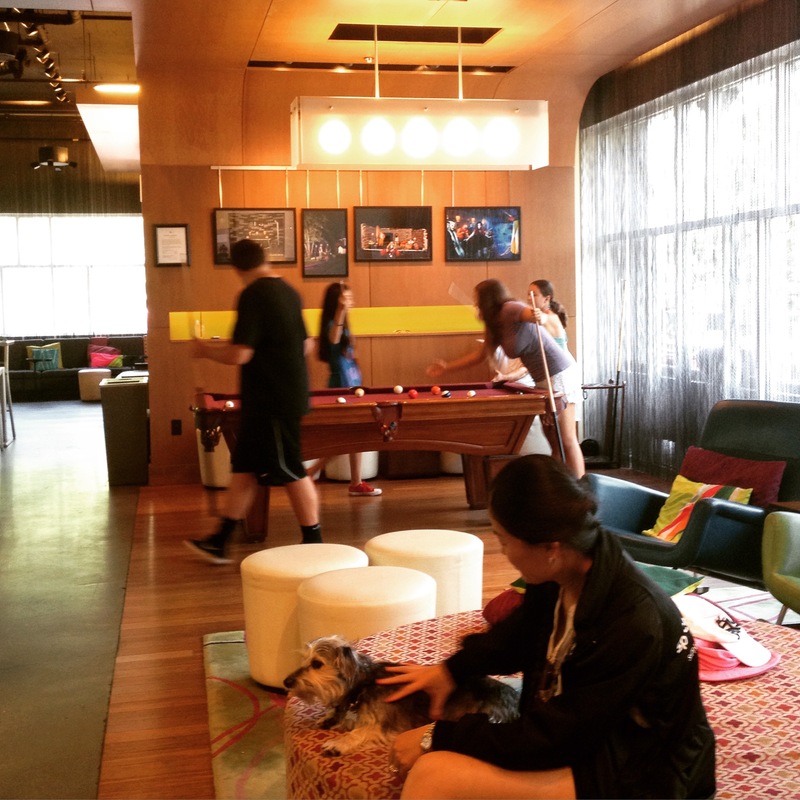 Tip #2 The Aloft Hotel is a great choice for town center convenience and many extra amenities. 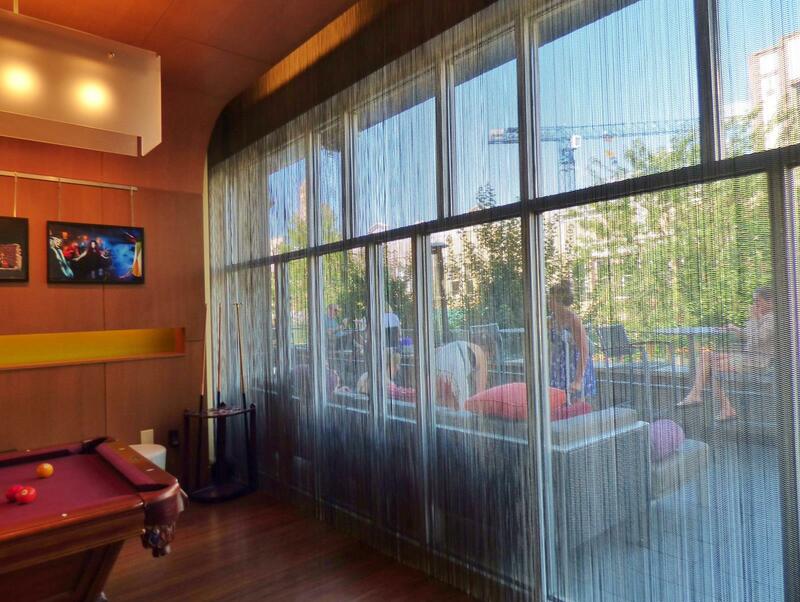 Outdoors and indoors at the Aloft Hotel combine to offer many choices on relaxation areas. 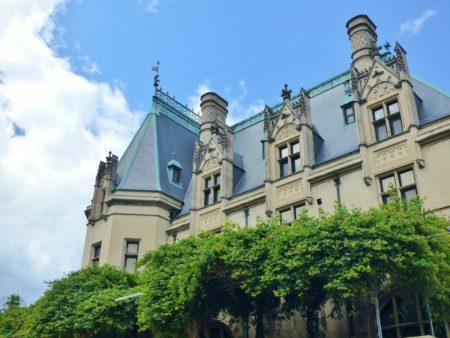 Tip #3 The Biltmore House is a must do. Kids Recorded tour and Valet Parking are both recommended. The Regal home of the Vanderbilts remains America’s largest private home. 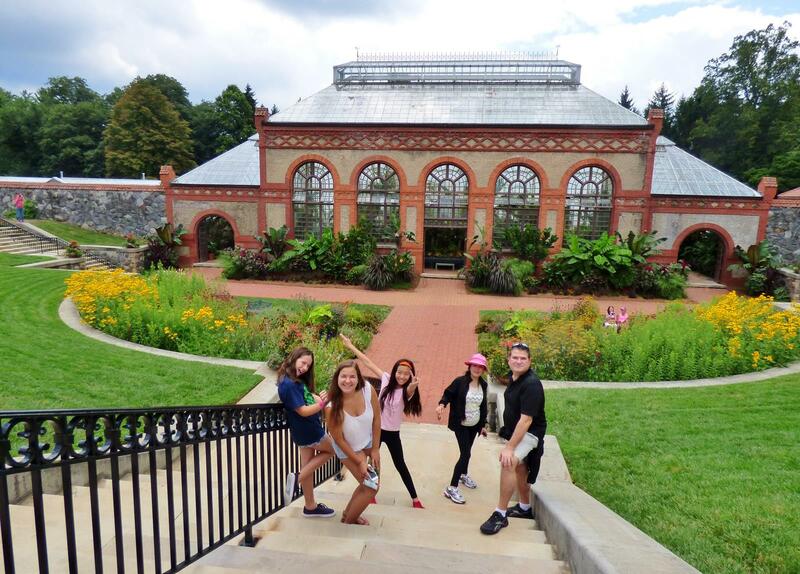 Our lively crew exploring the gardens and grounds of Biltmore Estate. 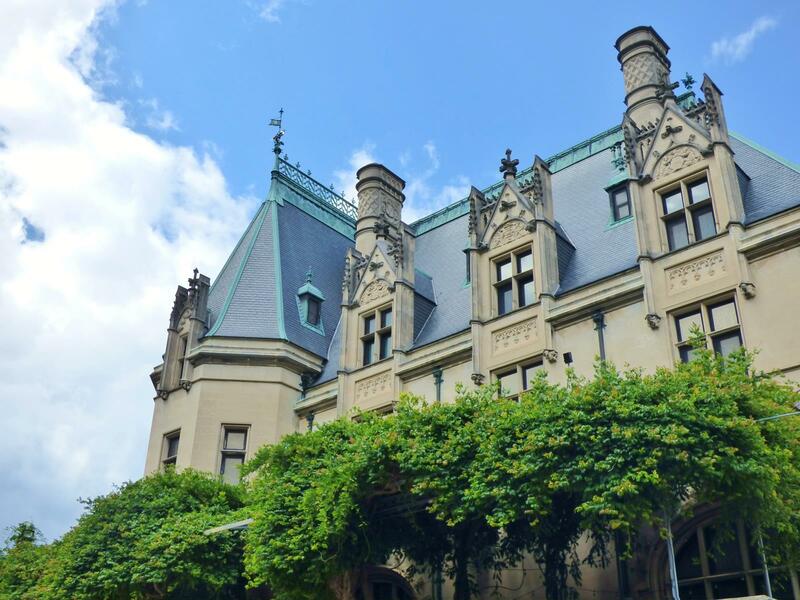 If you haven’t visited the Biltmore yet (or recently), it is a must do while in Asheville. The grand 19th century French Renaissance mansion and elaborate gardens change with each season. 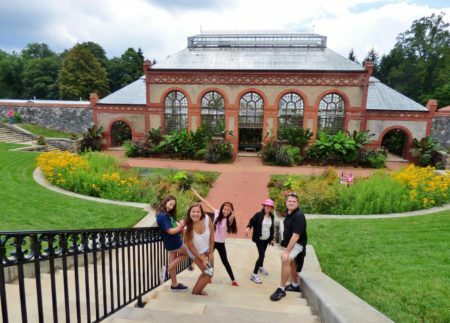 This summer the Biltmore is offering children 16 and under free admission, which is a real value. The house and grounds offer more than a full days worth of activities. 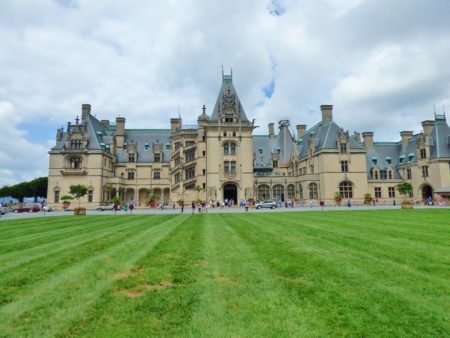 Biltmore is America’s largest home and does has an 8,000 acre backyard after all. I suggest paying the upgrade for valet parking. You will be walking a lot and this doesn’t waste time on a long walk or shuttle from the parking lot. 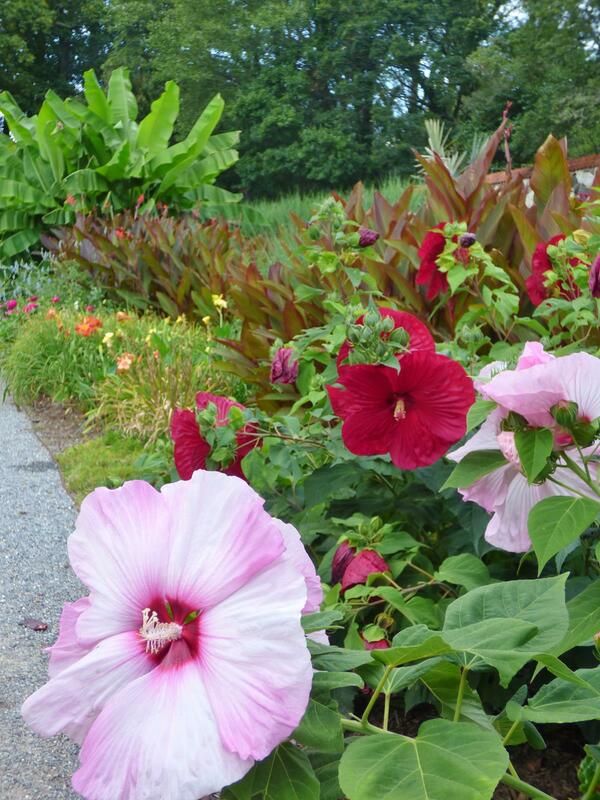 Options are plentiful and include a beautiful greenhouse and gardens, winery tour and tastings, bike rentals, outdoor center with kayaks, behind the scenes house tours, an equestrian center, and several nice outdoor restaurant or cafe options. Pick out what most interests you and your crew and get there early. I’d recommend doing the house tour first, as the lines of visitors make it less enjoyable later in the day. Without the line you can go at your own pace and breeze through some areas while lingering in the rooms that most interest you. Plan on a full day, bring your own bottled water, and pace yourself accordingly. There are abundant spots to rest and refuel throughout the estate. If you traveling with children under 13, be sure and purchase the kids version of the recorded tour. It makes the house tour much more entertaining for them with Cedric the Vanderbilt dog narrating and “treasure hunt”. Everyone will enjoy the tour more if everyone is engaged. An impressive number of good wines (really) are offered to taste at the winery, which is included in your admission. The cars in this photo are valet parking. It brings you right to the front door. After a long day exploring the Biltmore a great meal is in order. Traveling with children can often mean a compromise when it comes to dinner. But several restaurants in Asheville make it possible for no one to have to compromise. The Southern Hipster culture here shows up in the food. 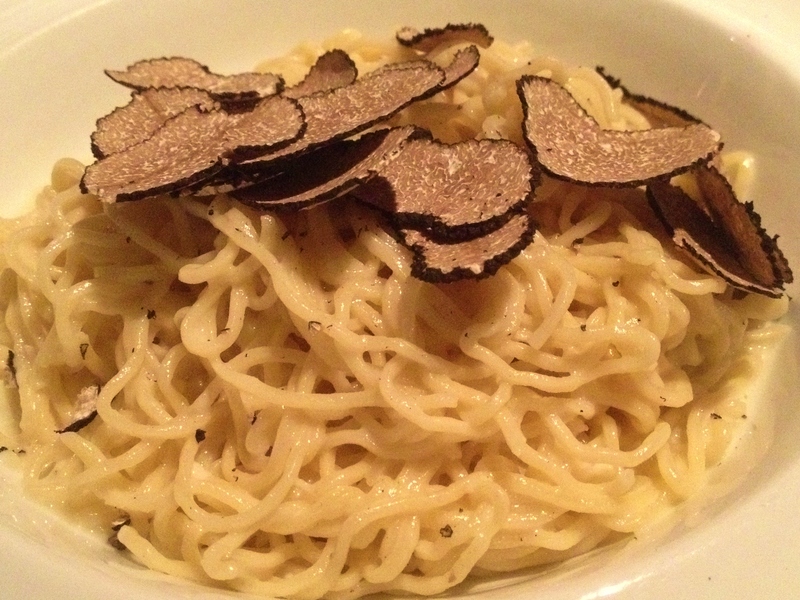 Menus often excel in recognizable yet elevated cuisine. 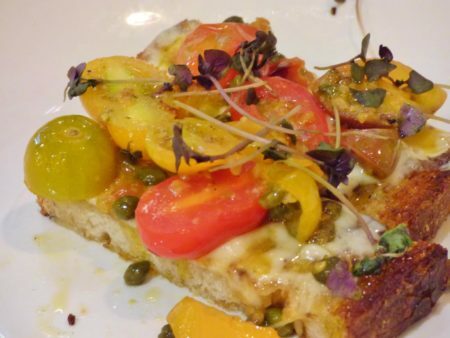 Chefs utilize fresh local produce and region products. Our youths loved comparing the fresh housemade pickles we found everywhere. Bread baking and dessert are a part of our southern heritage which all ages can appreciate. (Hot biscuits with local honey anyone?) Our traveling family group included 4 children from 10 to 16 years old, a vegetarian, and several gourmet eaters. Chestnut, Cucina 24, and Rhubarb all made each of us very happy. Don’t limit yourself to the standard kids menu when ordering or worry if one isn’t offered where you’d like to dine. The cozy Cucina 24 happily made custom brick oven pizzas and fresh pastas to suit our younger guests palates. Huge hit. Even though there is not a printed kids menu. The charming alley entrance on Wall Street and soft lighting was a far cry from the ambience of your local pizza joint. For the adults- the raw oysters with cucumber mignonette, squash blossoms stuffed with local ricotta, spectacularly fresh beet with poppy seeds and heirloom tomato caprese salads, and the simply decadent truffled pasta were all delightful. The perfect house made Focaccia with dill butter was a favorite of everyone. (We ordered more.) At Chestnut there is printed kids menu but also a small plates section of the regular menu that was ideal for our younger appetites. 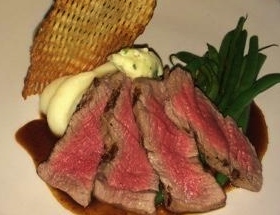 The small sliced filet with creamy mashed potatoes and green beans was a high point for our 10 year old. 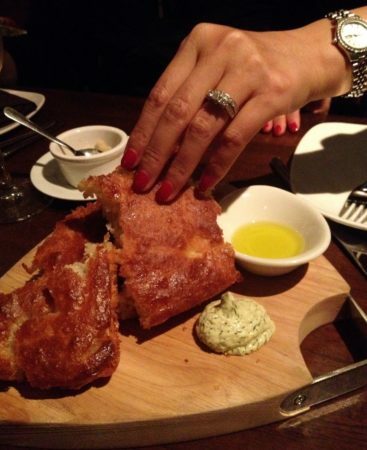 The unique bread basket was also a big favorite for our hungry diners. Rich Lobster Bisque, Grilled Angus Steak, and Kale and Calamari salad all won raves from our gourmets. ” Like Christmas dinner on vacation.”, she commented. Salted Caramel Tart with homemade ice cream from Chestnut disappeared quickly. Plus the stellar house-made desserts here won raves. 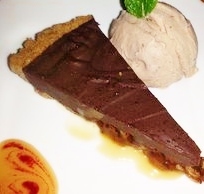 Salted Caramel Tarte, Chocolate Ice Cream, and Creamy Lemon cheesecake with a buttery Gingerbread crust left everyone smiling. 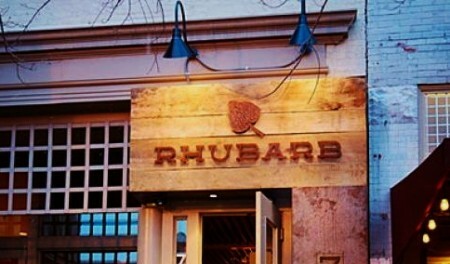 Rhubarb is another restaurant which strives to offer a family inclusive atmosphere. 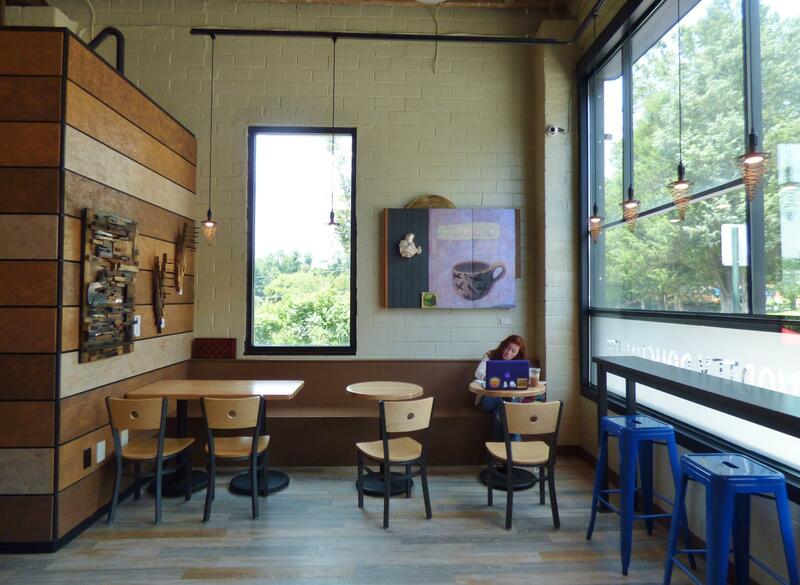 The chalkboard walls, leather seats, reclaimed barnwood and eclectic decor is familiar yet stylish at the same time. The menu includes many interesting choices beyond your standard frozen nuggets. The cheese plate, pickled vegetables, and Rhubarb Lemonade got our younger crew off to a very happy beginning. For the adults, the R Bar Cup (with ginger rhubarb flavors and rhubarb gin) was an instant mood elevator. 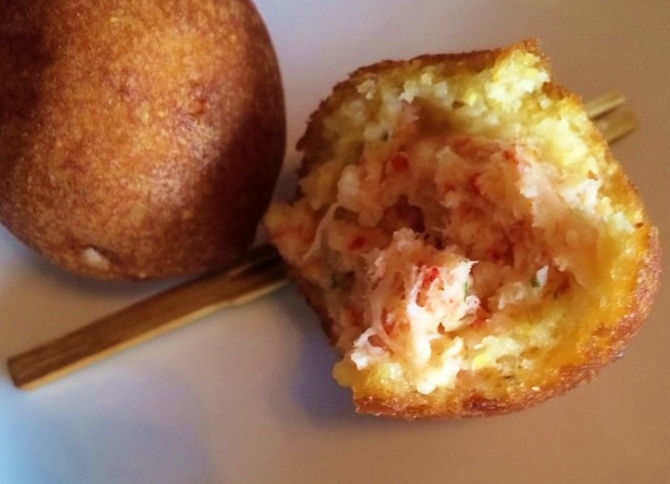 Lobster corn dogs where devoured by all, even the kid who says they don’t like fish. The power of the southern fryer scores again. Inside a lobser corn dog. John Fleer has been a James Beard Awards Best Chef Southeast finalist three times for good reason. He has a special place in my travel plans due to his focus on elevated family dining options. And a nice people watching patio on the square in front if the weather is nice. If you are trying to raise a child with an understanding of food that goes well beyond processed kid friendly variety, you will be happy you dined here. Your family is in very good hands. The beauty of fresh local produce entices at Rhubarb. Tip#4 Don’t lower your standards when dining with a family in Asheville. Many great places offer several options sure to please all and make for a more memorable vacation for everyone (If there’s no kids menu simply inquire what they can do.) 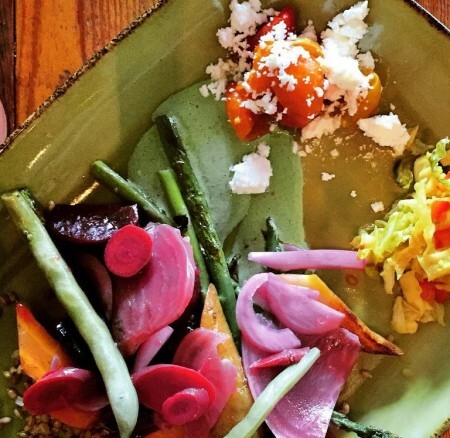 Dining can and should be a part of your perfect weekend in Asheville adventure! 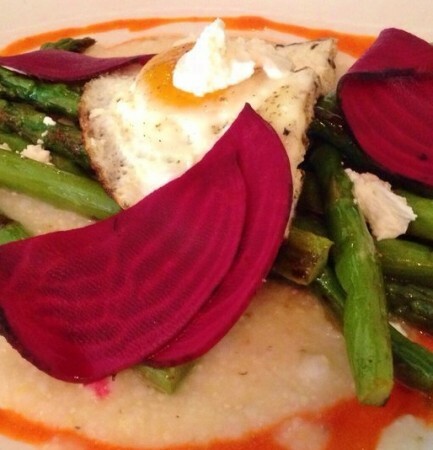 Go ahead and book Sunday Supper at Rhubarb. A Bison Burger and Lobster Roll offer a modern take on Surf and Turf at Cedric’s Pub located in Biltmore Village. Tip #5 Get Outdoors! Of course you know I’d say that. But seriously you are missing out here if you don’t engage somehow with the awesome nature that surrounds you in Asheville. In order to best appreciate it, simply choose an outdoor adventure that suits your group. 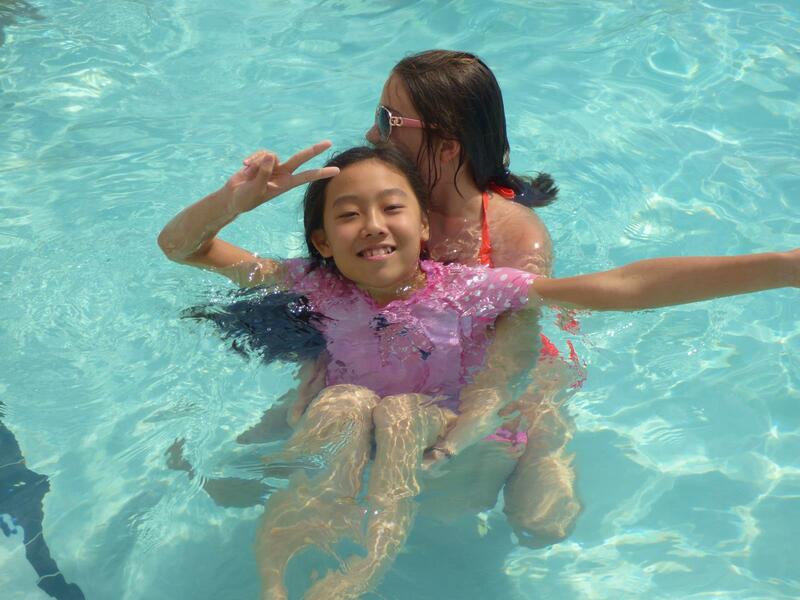 We choose a beautiful and relaxing float down river but your options are varied and many! 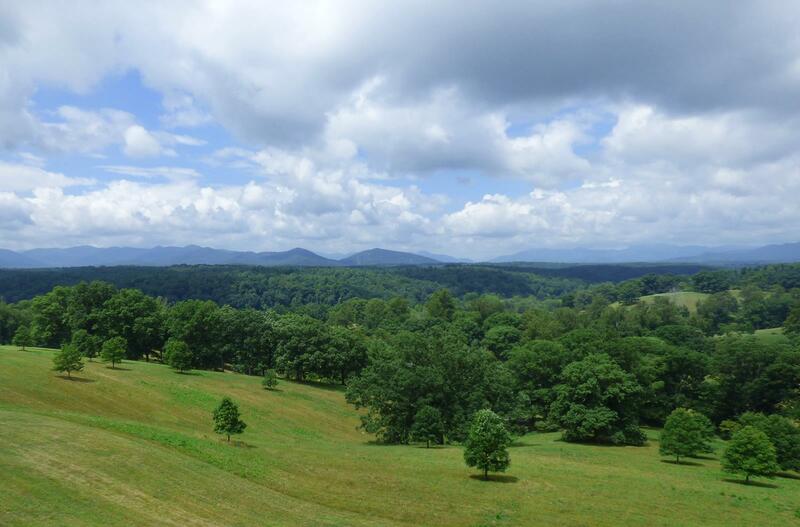 The rolling hills that surround Asheville. Like a dream, a field of sunflowers in bloom invites romping. A day spent outdoors soaking up the beauty of the nature that surrounds Asheville is a revatilizing. For our multi aged group of varying adventure levels we went relaxed this trip. 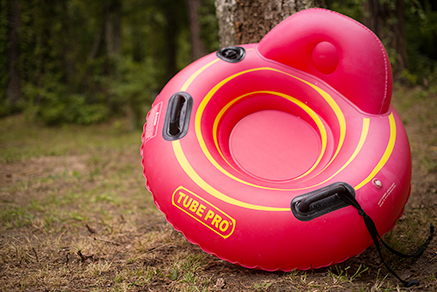 Zen Tubing is an easy low cost option perfect for ages 4 and up. Simply drive to one of 2 locations and take the shuttle to the drop in point. Float down the river in comfort for about 2-3 hours. And if you want to go again its only $5 more. 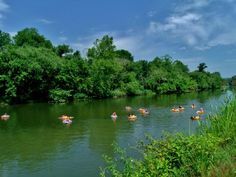 The lazy pace of the French Broad River welcomes all skill levels to float. You can even pack your own cooler with food and beverages and get a cooler float for only $5 bucks more. OutdoorLUX for sure. Asheville offers many other options for every taste in outdoor adventure. I look forward to more hiking, water rafting and zip-lining in future trips. But this was perfect for our weekend. (Note- Fido has to hang at the hotel for this adventure as it is not dog friendly.) For a listing of many other area outdoor adventure ideas click here. These tubes are built for comfort not speed. Perfect for our group. Tip #6 Get in touch with your Inner Artist. 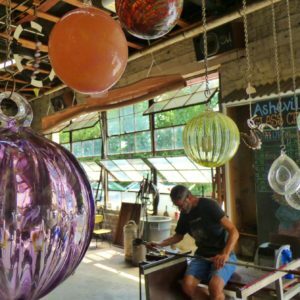 Asheville has a vibrant artist and artisan scene. There is some form of artistry here for everyone. Whether you are into artisan chocolate or modern art. Glass blowing or mind blowing jewelry and pottery. The colorful area of town known as the Arts District makes for fun wandering to find your favorite but options abound throughout downtown and in the village. 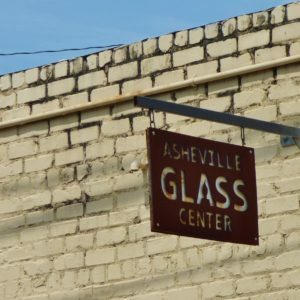 We did a drop in glass class at Asheville Glass Center that was both entertaining and educational. drop in to watch artists at work or join in with a class. (Plus we got to bring home our own handmade paperweight souvenir!). You do have to be 13 yrs old for this one as glass blowing requires extreme temperatures. Artisan Chocolates more your idea of fun? 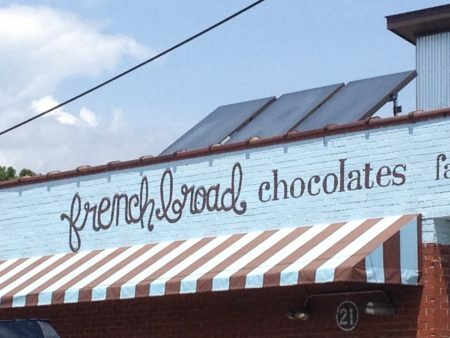 Artisianal Chocolate tour and tasting room anyone? Try the conveniently located French Broad Chocolate with tours Saturdays at 11 am for $10 (or any day self guided). 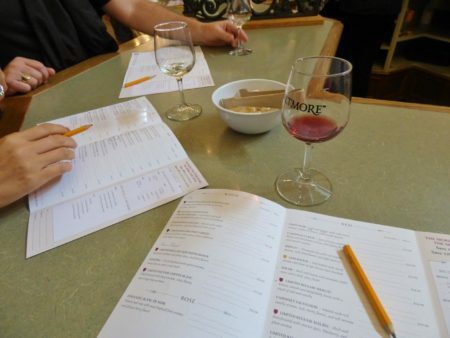 From harvest to fermentation to chocolate tasting bar, this is an art form with wide reaching appeal. 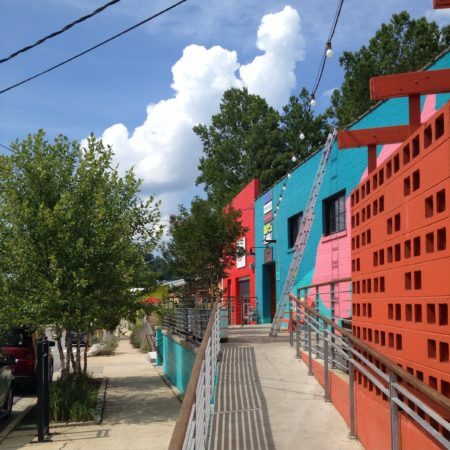 If you do find yourself exploring the Arts District and get a bit hungry, stop by the White Duck Taco. 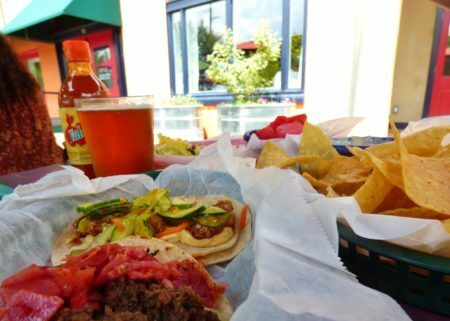 You can enjoy the colorful patio setting while sampling original “artisan” taco creations like Korean Beef Bulgogi or Thai Chicken (dogs welcome). White Duck Taco- the art of the tortilla with a Greenman draft. The colorful and friendly patio dining area welcomes your dog to join. 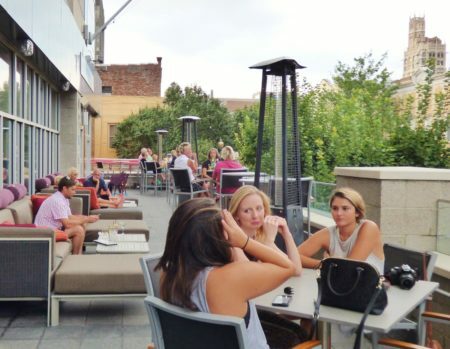 Tip #7 Discover why Asheville has won the crown of “Beer City, USA” for four years in a row. One of the older (and dog friendly) Breweries in town. Even if beer is not your favorite beverage, the breweries and fun brew pubs in Asheville are still worth some of your perfect weekend time. Asheville boasts over 40 breweries and beer pubs and has become the center of craft-brewing in the South. For craft beer connoisseurs it will be hard not to spend your whole weekend discovering how Asheville beat out such craft beer heavyweights like Boston and Portland. There is even Urban Orchard, a great “True Cider Tap” room dedicated to hard cider. 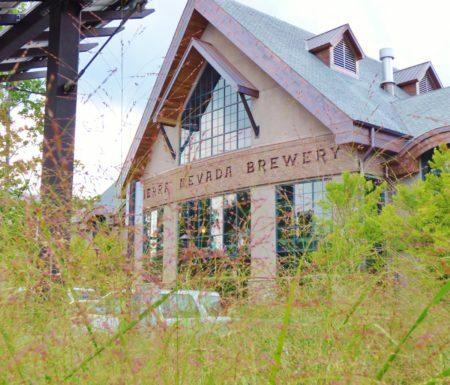 There is Sierra Nevada’s East Coast headquarters with amazing environmental programs, various tours, and weekend outdoor concerts. Samplers are always a good way to go. Many breweries are right in town and offer fresh food, fire pits, local music and welcome both kids and dogs to the patio party. Wicked Weed is right next to the Aloft and is perfect for a family afternoon on the patio. The Asheville Brewing Company is also in town and has a huge outdoor space with games and a huge outdoor movie screen playing flicks like Alfred Hitchcock’s Birds. Although some of the movie offerings might not be, this local joint is very family friendly, with a familiar favorite menu of burgers and pizza to please all. If the idea of toting your little ones to a regular brewery gives you pause, this is your perfect spot. 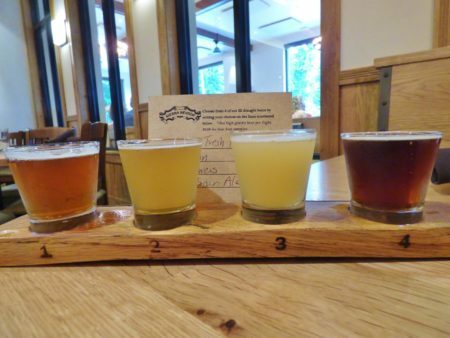 For all adult travelers, you might want to try a brewery tour to get a taste of several local breweries while a knowledgable local takes care of the driving. But I seriously love how there are true family friendly options in Asheville which everyone can enjoy together. My environmental minded 10 year old loved our Sierra Nevada tour and meal. They are a seriously impressive operation whose excellence extends way beyond beer making. 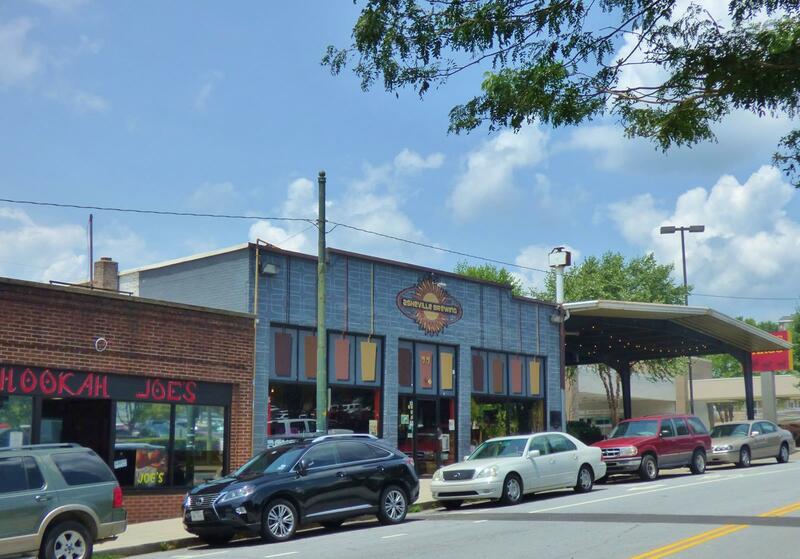 Located right in town, the Asheville Brewing offers great outdoor space. The wealth of musicians performing daily in Asheville is impressive. From folk, to bluegrass, to rock and jazz there is something for every musical taste. We enjoyed some Bluegrass at Biltmore’s “Live After Five” event while sipping fine NC wine (yes- that’s a reality!). We also lounged poolside at the the Aloft for a free monthly concert for charity called Live @ Aloft. The last Sunday of each month, the Aloft welcomes the public to their scenic pool deck for complimentary apps and a free concert to raise money for a charity. Our concert was to benefit the local Asheville Humane Society and pets were mixing and mingling as well. A great more intimate setting can be found at 5 Walnut Bar. They offer live music every night and tend more to jazz and american standards with a great variety of wines by the glass. Ben’s Tune Up is a venue we just have to mention. 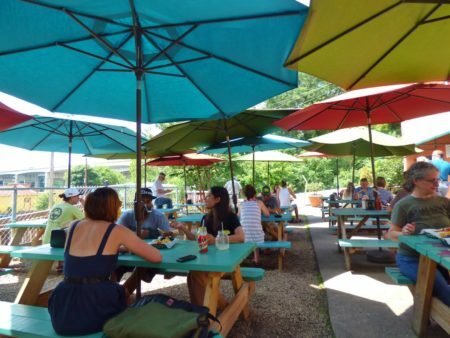 We love that it is almost completely outdoors ( as well as offering up some great ramen options!). Off the Wagon features dueling piano shows every weekend for a fun audience participation option. You can find live music any night you are visiting, just check the current Asheville Music Calendar. Tip #9 Be transported to Spain. 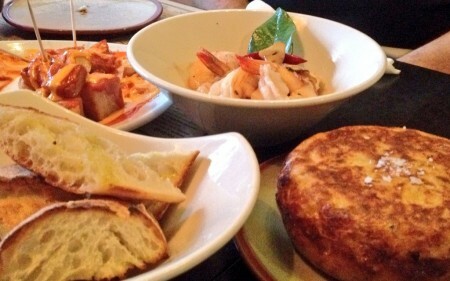 Patatas Brava, Tortilla Espanol, and Gambas Ajo were among many perfect Spanish dishes which we enjoyed. Maybe you’ve heard of Curate and Chef Katie Button and maybe you haven’t. Either way, you owe it to yourself to secure a reservation here at some point in your perfect Asheville weekend. Because rarely do you find this level of perfection anywhere. 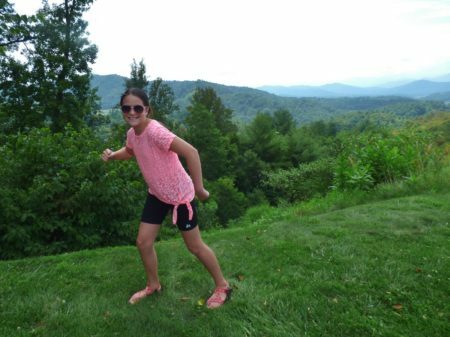 She’s studied with the absolute best in the world and brought it home to tiny Asheville. Better than many tapas bars in Barcelona. No lie. Perfect cocktails. Great service. We parked the kids in front of that Disney Channel with the 16 year old in charge, Chinese take out ordered, and headed out for a Saturday night splurge. 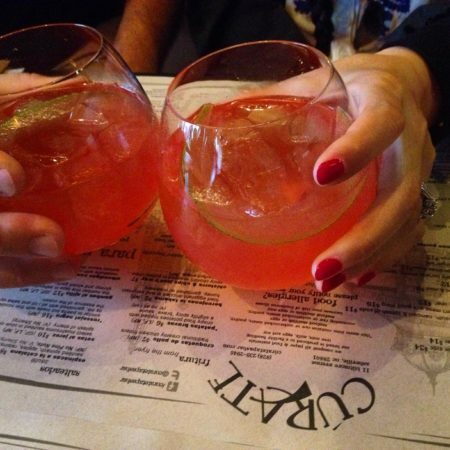 Watermelon cocktails, Tableside Sangria,and 12 amazing tapas split 4 ways made for a most memorable and delicious evening. From buttery Spanish imported meats to honey drizzled crispy eggplant, it was a true feast for the senses. A highlight of the trip. Watermelon Cocktails at Curate are pure refreshment without being too sweet. You will thank me. If you’ve been just go again, or try her American tapas bar, Nightbell. Chef Button has been named one of the Best Chefs in the world by Food and Wine. You know why each time we have the pleasure of dining here. Has new Chacos, ready to hike. Great outdoor shopping abounds in Asheville as well. This seems obvious, but too many jam packed weekend trips have left me exhausted by Monday. Asheville has many choices as to wear you might best like relax. Perhaps by the pool with a book. On a blanket next to a field of sunflowers with friends and a picnic. In the quiet of morning inside a double decker coffee bus with a frothy cappuccino. By a waterfall at the end of a shady trail. Find your favorite. Then be sure and plan in some great “down time”. 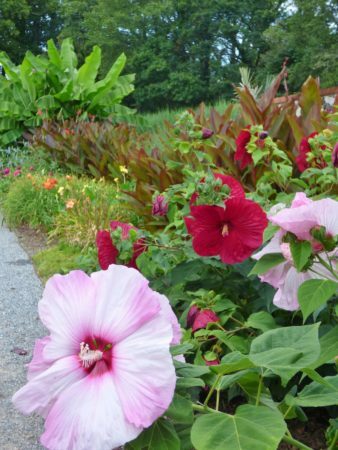 Asheville is an easy destination to slow down savor if you just let yourself. 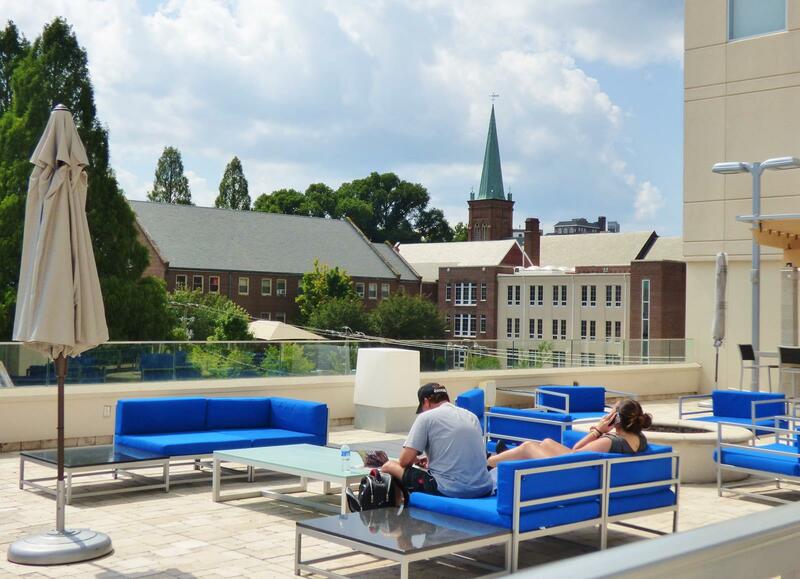 The outdoorlux areas are numerous at the Aloft Hotel in Asheville. Great spot to relax with a coffee or vegan doughnut- Vortex. Cooling off with a friend. 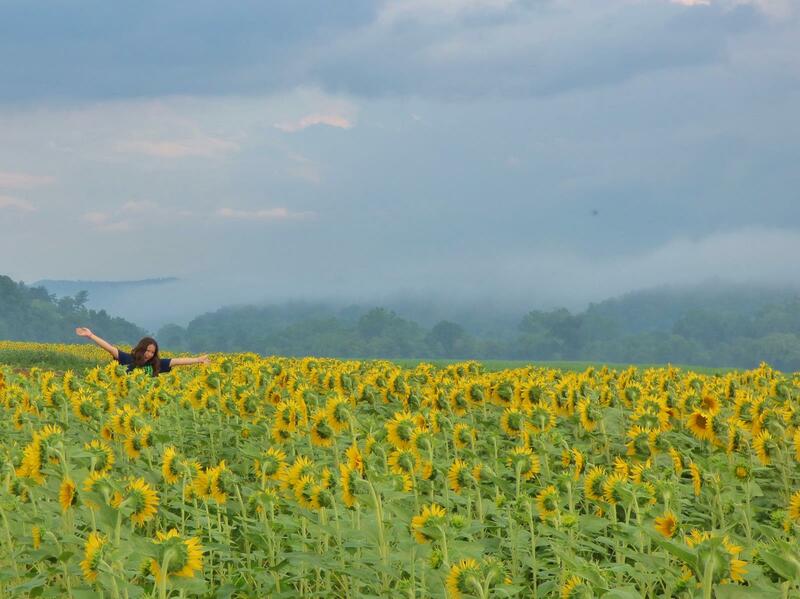 I hope my 10 tips for a Perfect Weekend in Asheville has helped or inspired you. 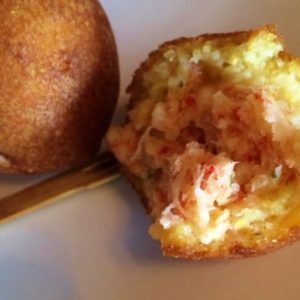 Do you have some favorite Asheville spots or tips? I’d Love to hear about them and help out fellow travelers in our comment section! We will be headed back to take in a fall trip and would love to incorporate some of your suggestions. The Blue Ridge Mountain views never seem to get old. Until next time, I wish you joyful travels to unique places you enjoy with people whom you love. Wow! Now I really can’t wait to explore Asheville! 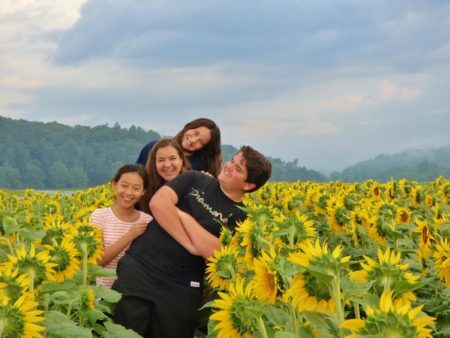 Thanks for the great tips for a perfect trip to Asheville! The pictures are stunning!!! Great blog on Asheville! Thanks for the positive feedback Kara, Asheville is so colorful it’s quite easy to take a good picture there. I want to go to ashville with you next time! Looks awesome! Sounds like a fun weekend idea! As someone who lives in Asheville, these are good tips!